T. E. MacArthur is an author, artist, and historian living in the San Francisco Bay Area with the loving ghost of her one-time companion, Mac the cat, and her new bouncy kitten, Calypso. Writing is her obsession, driving her to brave a trek all the way to Iceland to research her next novel. She has written for several local and specialized publications, and even had an accidental stint as a sports reporter for Reuters News. She received her Bachelor's Degree in History from Cal State University and spent many an evening in subsequent Anthropology, Geology, Criminal Investigation and Art classes. Storytelling remains, however, her passion. The Volcano Lady: Volumes I - III follow the adventures of Victorian lady scientist Lettie Gantry, through the worlds of Jules Verne. 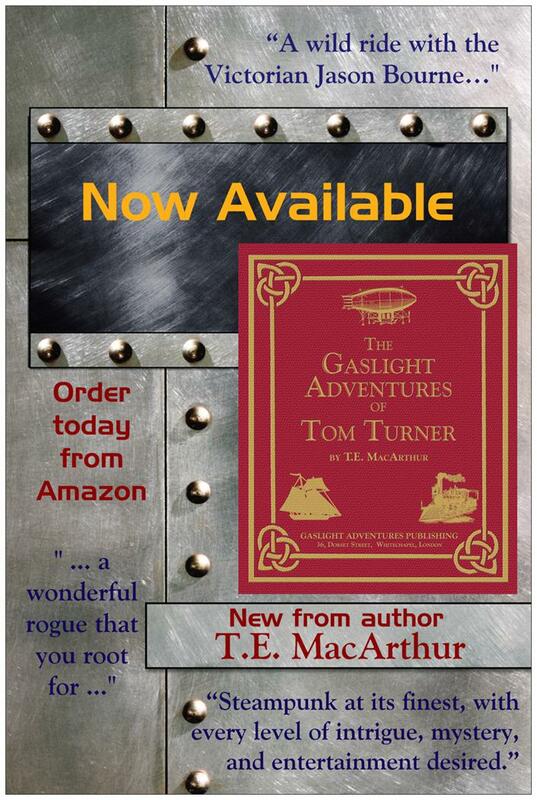 The Gaslight Adventures novellas continue the thrilling adventures of Tom Turner, following the time honored cliffhangers of dime novels, pennydreadfuls, and weekly serials. To put it mildly, T.E. has a love for all things Victorian (history and clothing from 1870 - 1890 in particular) and is having a lifelong affair with the writings of Jules Verne. Continue reading We’re changing …. Volcano Lady #4 is here! Continue reading Volcano Lady #4 is here! Continue reading Thirty Days Later is Coming!